Newcomer Family Obituaries - Sue J. Long 1934 - 2019 - Newcomer Cremations, Funerals & Receptions. Sue J. 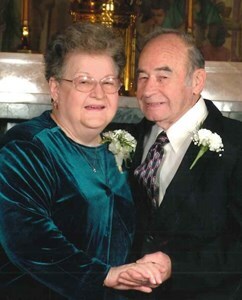 Long, age 84, of Kettering, passed away suddenly on April 9, 2019. She was born June 18, 1934 in Lexington, Kentucky to the late Oliver and Maggie Rogers. Sue was preceded in death by her husband, Auburn Long, brothers, Bobby and Nelson Rogers, and sister, Lois Ward. She is survived by daughter, Alissa (Mike) Roark; son, Steven Long; 2 grandchildren, Brittney (Danny) Halcomb, Brandon Roark; 4 great-grandchildren, Logan, Lexie, Destin, and Dru; brother, Donald Rogers; sister, Kathy Williams, and a host of nieces and nephews. Sue was a loving, giving person who loved her family. A Memorial Service for Sue and Auburn will be held at 4:00 pm on Thursday, April 18, 2019 at The Gathering Place Baptist Church, 3001 Ackerman Blvd., Kettering, Ohio 45429. In lieu of flowers, donations may be made to The Gathering Place Baptist Church. To share a memory of Sue, or to leave a special message for her family, please click the 'Share Memories' button above. Add your memories to the guest book of Sue Long. Dear Alissa and Family, my heart goes out to you and your family. Many prayers and love for all of you. My favorite memory was at Mike's 60th. birthday party where I was welcomed as family and I sat with your mom and brother and talked. I had a wonderful time and many laughs. We have worked together for so long, side by side that you feel like my sister. Love you and your family very much. Love you dearly, Lynn. I have some wonderful memories. She was smart and beautiful. She loved her Brandon, Brittney, Logie, and Lexie and of course her children Alissa and Steven and all of her family. I have great memories when I was young about all the kids and grandkids coming to our house every year between Thanksgiving and New Year's. I also have wonderful memories of a bunch of us going camping a lot. There would be Lois, George, Sue, Auburn, Alissa, and Steve, and sometimes mom and dad. I loved and miss those days. I remember calling Sue to help me with my homework sometimes. I love you sis. Until we meet again. I am so saddened by the loss of my Beautiful Aunt. I was names after you my middle name is Sue. I know I didn't get to visit much. But you were always in my thoughts and prayers. I'm so sorry we couldn't make the trip but you were not fotgotten and you are very loved by us. I know you are in no more pain and you are in Heaven with both of my parents and grandparents along with your sister and brother and the love of your life. Please if you don't mind give them all a hug and kiss from me most specially my parents. I love you Aunt Sue very much. Jamie and I were so sorry to hear of her passing and will always remember the great phone calls and some visits that we had together. She was a lovely, kind and sweet woman. Our thoughts and prayers to all and we must remember she is in a better place and united with her husband. Though separated by many years, and rarely being in contact, I felt a closeness to Sue Net and I am very saddened by her passing. I will always remember her with fondness and love. Sorry to hear of your mom's passing.Your mom and dad was great friends with my mom and dad. We enjoyed getting together on Saturday night's and playing cards. Lisa and Steve you two were fun childhood friends.Are parents are missed every day.